The kids had been staring at the gifts under the tree for over a week because I, in a lapse of judgement, set them all out as soon as we had our tree up. The gifts were shaken, sorted, used as ramps, and smelled over that week. At times it seemed like a bit of torture for the kids. But they made it through and Christmas day arrived! We had such a great day – the kids were patient while everyone opened their gifts in turn and spent the rest of the day playing together so nicely. Hubby took this time lapse of us opening our gifts… a photo a second. The kids opened their stockings and checked out their gifts from santa first. Everyone was so excited to see the kids’ reactions. They slept in until almost 7 am. (That’s the short version of the story. The long version involves one or more of them up and out of bed three times through the night). The kids all got beautiful, special quilts made by nana. 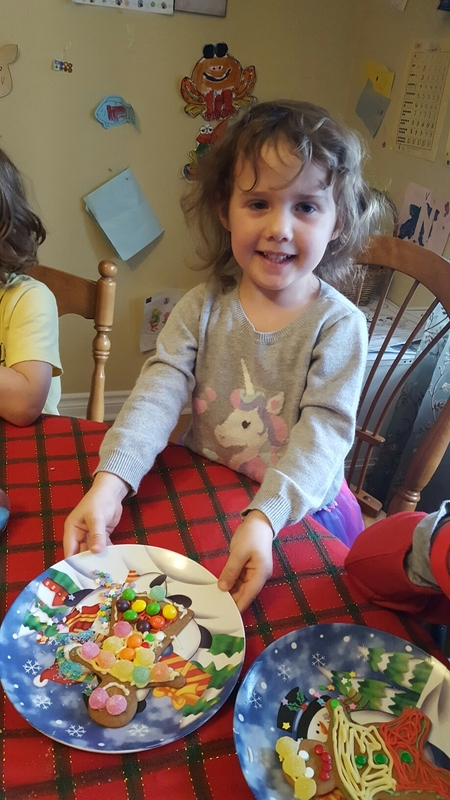 Eleanor was so much fun to watch this year… every single gift opening was accompanied by a huge gasp and “I love it!” in a high-pitched squealing voice. She loved her huge doll house from Santa. This is a doll she got from Lisa, her day care provider. It is nearly as tall as her! Eleanor modeling her new robe and toque… … and playing with her new play doh set. This isn’t even a Christmas day picture but too funny to not put somewhere – Emery honing his selfie skills. Every year I post Christmas pictures and wish I had taken more. But then I think the lack of pictures really shows that I was present and enjoying the actual moments that much more. I like that. It has been a really wonderful holiday season – lots of games and fun and food between Christmas Eve, Christmas Day, and Boxing Day. Now we are settling in to a visit with nana and papa, which I’m sure will generate more pics! Categories: Eleanor, Emerson, Family Fun, Holidays, Oliver | Permalink. Haircuts were the first step. We waited outside the hair salon for it to open (and I’m glad we did… at least six people lined up behind us within ten minutes). Eleanor loves dresses! This one was from her day care provider… Lisa! On Christmas Eve the boys and I started the day with a geocaching hike behind our subdivision. This was taken by Land of Laziness lake. It was a great morning for a hike, though the trail was a bit icy in places and we only found two of of the four geocaches we looked for. 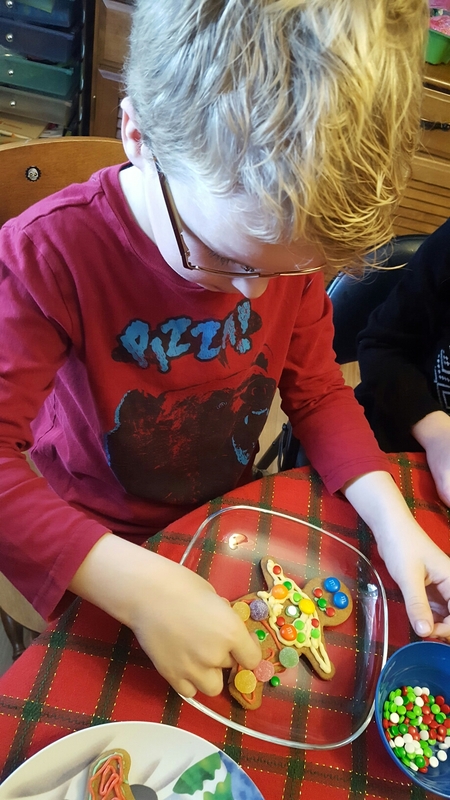 The rest of our Christmas eve was pretty normal… new jammies, reindeer food sprinkled on the lawn, cookies left for santa, and a little after-bedtime construction (by santa’s helper). Excitement was high! Categories: Eleanor, emery, Holidays, Oliver, The Great Outdoors | Permalink. A week or so ago we gathered with a bunch of our awesome friends and had a Christmas party. 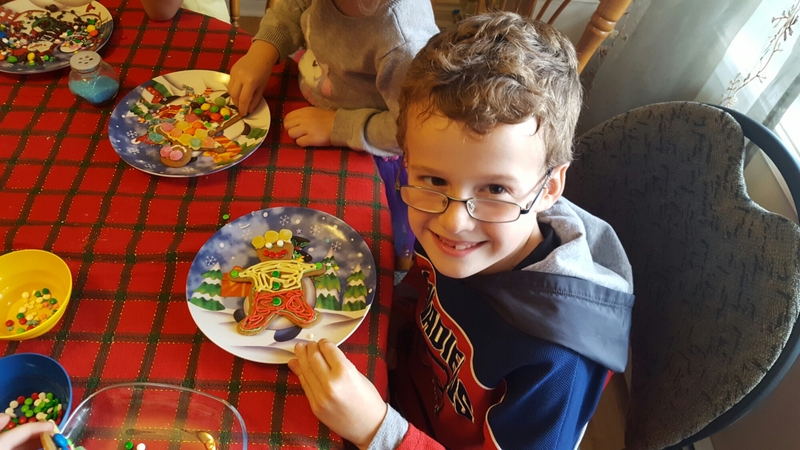 The gingerbread men were a big hit! Categories: Eleanor, Emerson, Holidays, Oliver | Permalink.